Poland has warned its citizens, the fans of online entertainments, that they will have great problems if they continue to gamble on the foreign sites that are not licensed by Poland. The Polish Minister of Finance announced last week that all the players gambling with unsanctioned gaming institutions will be prosecuted by law. This is a sign of a break with Poland’s compulsion strategy, which had been put aside before that for those caught marketing or just promoting for foreign sites. The Minister of Finance informed that he has already defined more than 24k gamblers supporting foreign operators, 17,700 of which have received in total PLN 27,000,000($8,000,000). He warns that 1,100 investigations have been started in this connection. He also remarks that the special attention will be paid to the luckiest players who won a lot or to those unwilling to abridge their gambling habits. In 2011 the country endorsed sports bets online but under some difficult conditions. Among them was the necessity to register the institution in Poland and to pay tax which is 12% of the turnover based on the type of activity the operator is indulged in. These unfavorable conditions attracted only four Polish operators: Milenium, STS, Fortuna Entertainment and Intralot subsidiary Totolotek. According to statistics these operators have captured only 9% of the Polish gamblers and as the Roland Berger consulting company valued will bring only PLN4.9b ($1.5b). Poland has drawn up amendments to its Gambling Act to give the opportunity to EU gambling operators to solely launch offices in Poland for the tax aims and create a bank account in Poland. The European Commission is planning to study the amendments by the 6th of February. 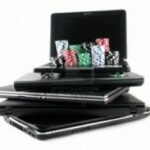 It’s a pity that Poland seems to do nothing in the direction to widening its online gambling options except for sports bets though this country was one of the countries to get an “official request for information” from the European Commission as to their legislation in online gaming industry in November 2013.